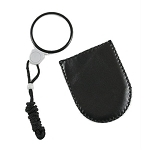 This compact, convenient, illuminated magnifier provides 3x magnification. It is ideal for reading assistance in low-light conditions. 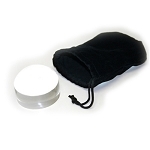 Ultra Optix Handi-Lens - 2x power pocket size fresnel lens 2-1/2" x 7-1/4" Lens in Vinyl Case.